I was near my favorite hobby shop today accidentally on purpose. I was with my buddy who I talked into helping me buy a box because I paid for breakfast. 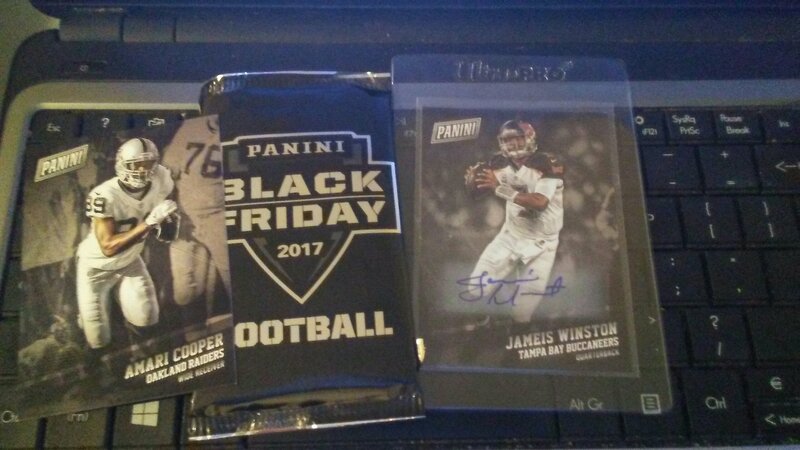 So I bought a box of cards today and got two Panini Black Friday football packs. I was given the option football or all sport but said football because as I have said a thousand times over that I like this rookie class. I was expecting to post four base cards for this post, so naturally I pulled something great. If you think the top picture is amazing, scroll to the second picture. The way the cards in the pack were laid out it was that if you knew what kind of cards were in the pack, you had a good idea, at least with this pack. 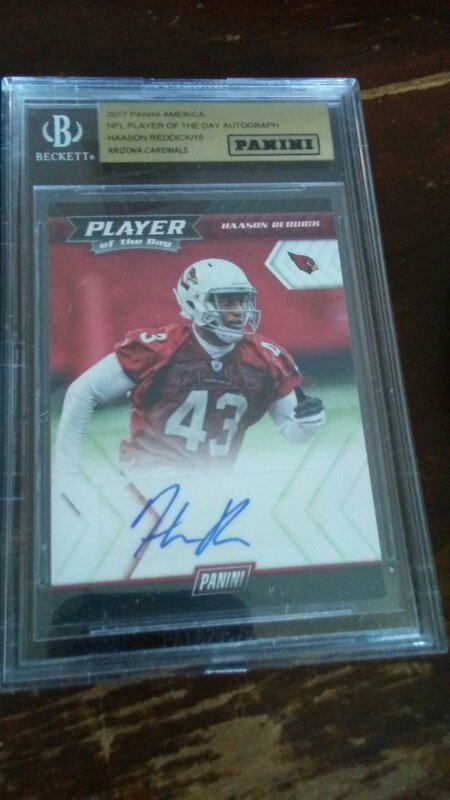 I instantly had a pretty good idea what it was because I couldn’t envision Panini putting Gridiron Kings type frames in this product. 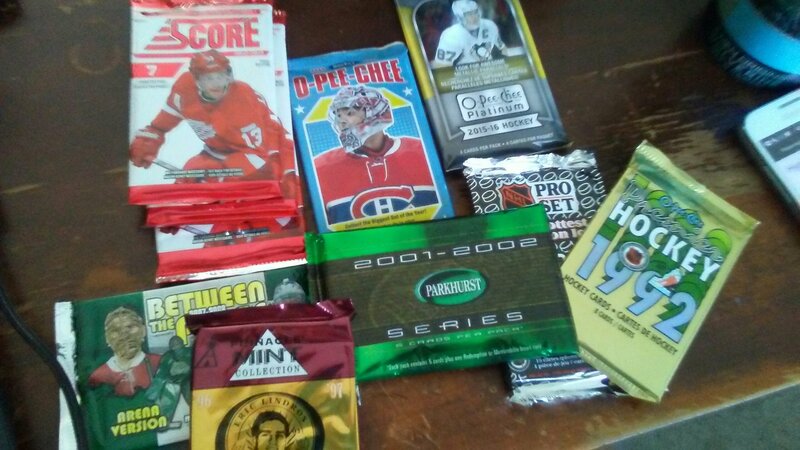 There was no attempt to conceal that a hit was in this pack. As someone who has called out breakers and people for giving Black Friday, Cyber Monday, VIP packs to their friends, this does nothing to remedy that problem that is clearly prevalent in the hobby. As much as I have a good relationship with my card guy, I know that he didn’t give me a hit on purpose; I shop at his shop because he is ethical like that. 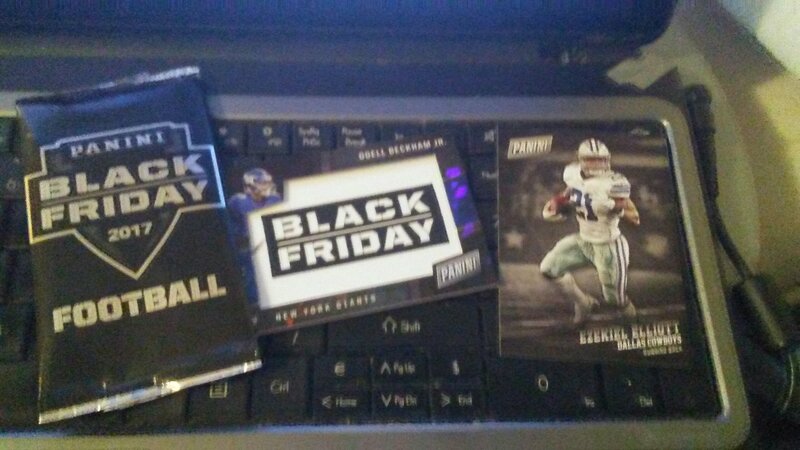 If my card guy knew that he gave me a hit with the Beckham Black Friday patch, I really do not think he had a clue that he gave me a second hit with the next pack. It was two thin cards. My hand started shaking after I pulled this. I still can’t believe it is real. A Jameis Winston autograph. After I opened these and showed my buddy who isn’t a collector, he asked if I was going to open the box of cards we bought. I almost replied ‘what box?’ I actually bought another box, from PackRip. That will be posted in a day or two. The past few months have been crazy for me. I had a bunch of money saved up and lost it due to bills. During that time, I said if I am going to lose my savings, I am going out in style. If my savings account is going to hit zero then I deserve a purchase for myself. This meant that I bought some Christmas presents in October and got a box of cards that I wanted. 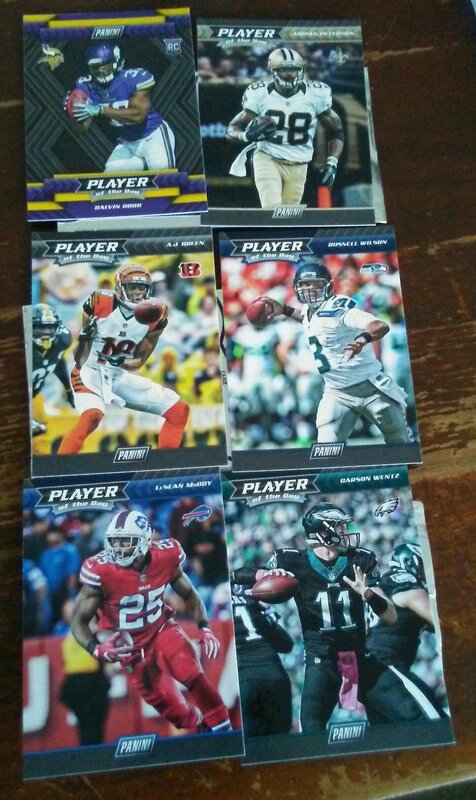 I actually bought two, Panini Elite and a hobby box of this year’s Sage football. I finally had some downtime and opened one of the boxes. 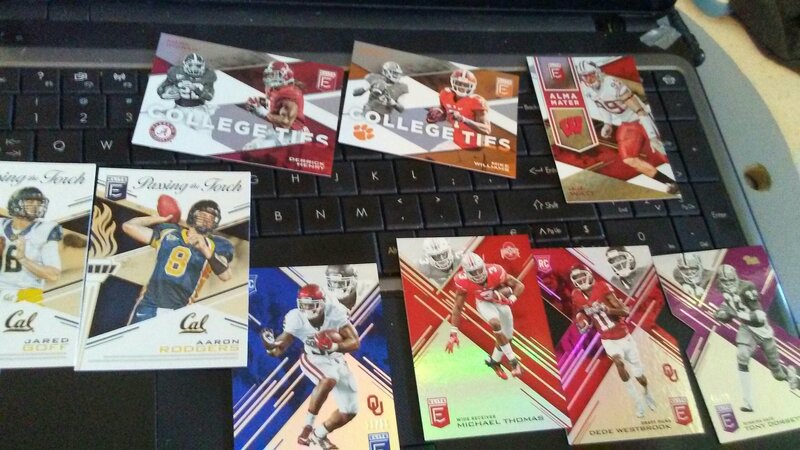 So without further ado here is how my box of 2017 Elite college edition turned out. 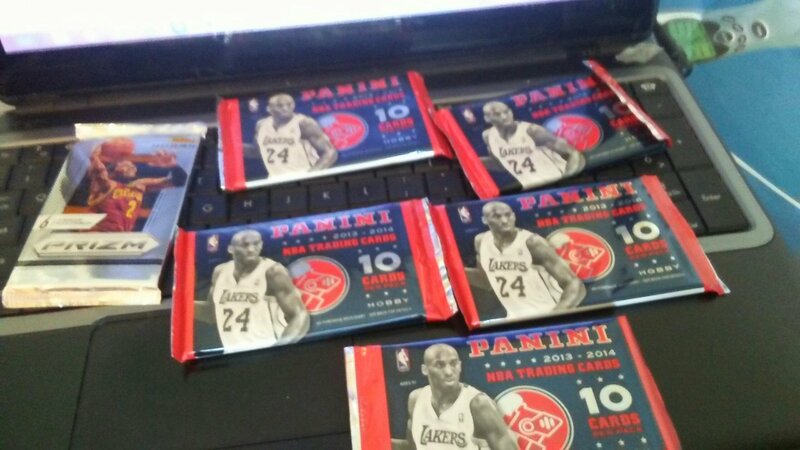 5 packs with an autograph in each pack. One of my packs had two autographs in it. 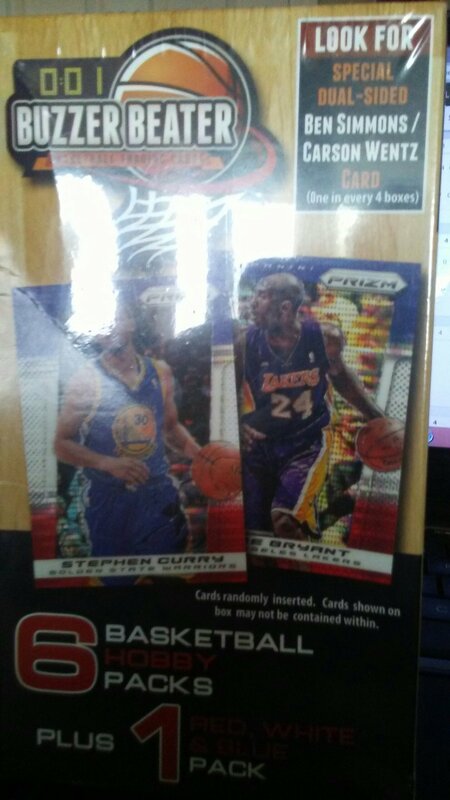 Actually two of the lower numbered autographs from this box. Inserts shown were not numbered. After swimming in crap with my Contenders this year, I feel this box hit it out the park. 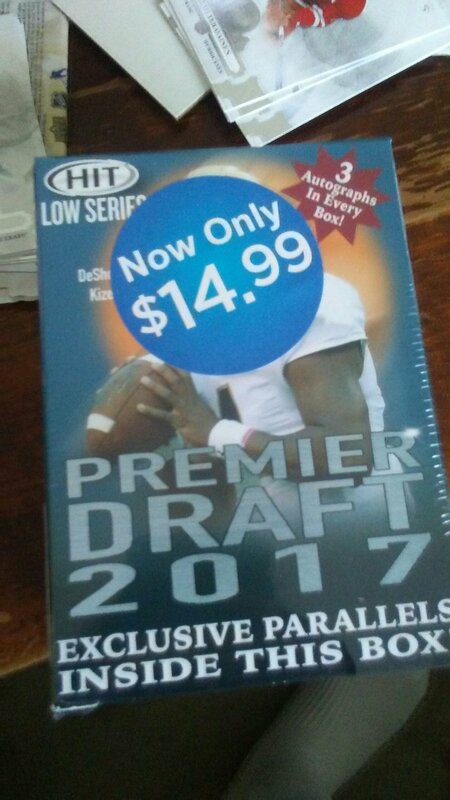 I got three very high draft picks and beat the odds with an extra autograph. 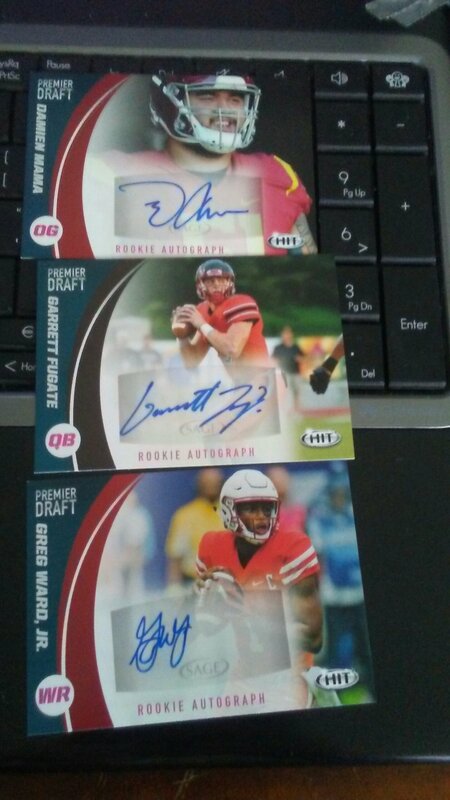 The numbered non autographed rookies are two rookies that I am very excited for. This was a very fun box. I love this rookie class and can’t wait until they hit the bargain bin a few years. Today is another example of my tendency to not open boxes that I buy right away – for the record if I got any review boxes from companies I would open those right away, hint, hint as I know some of you read. 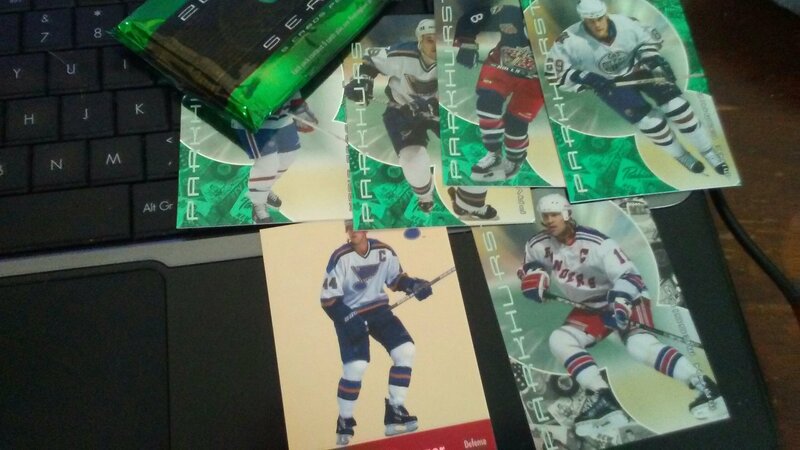 I probably had an appetite for cards as mail didn’t come this weekend because of Veterans Day. I don’t remember how much this product was. It was probably $19.99 but it could have been $14.99. 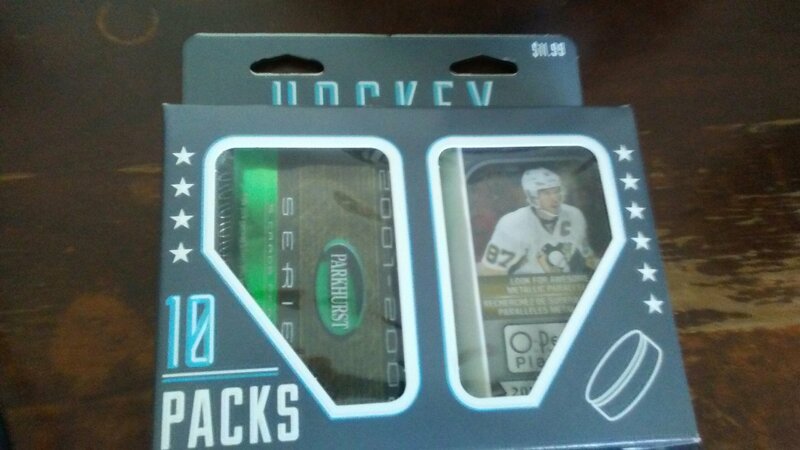 I hope it was cheaper because despite offering hobby packs, it was awful as you will see. I bought this expecting cheap Prestige packs that would make me happy. 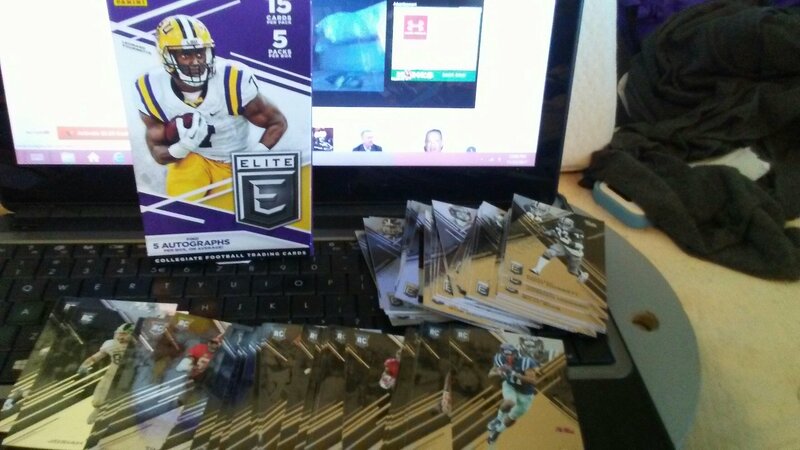 I certainly wasn’t expecting 5 of the same packs; a flagship product with hits hard to come by. 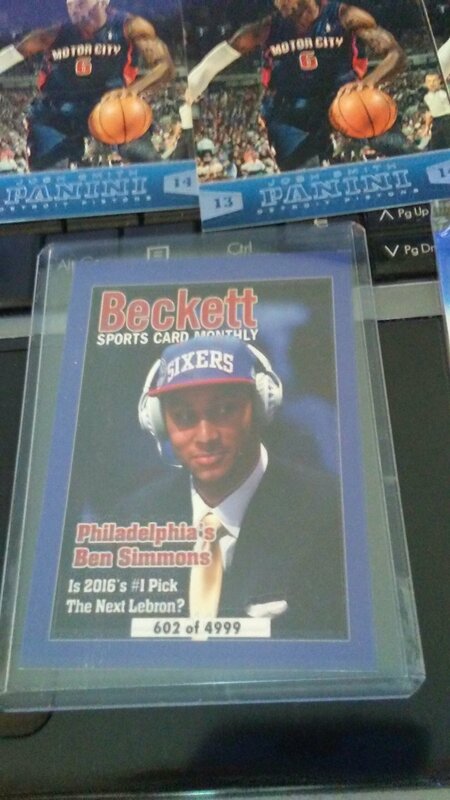 I did beat the odds and got a Beckett rookie card that came 1 in 4 boxes. I didn’t pull anything good. The Prizm was all base cards with a Shabazz Muhammad rookie card. 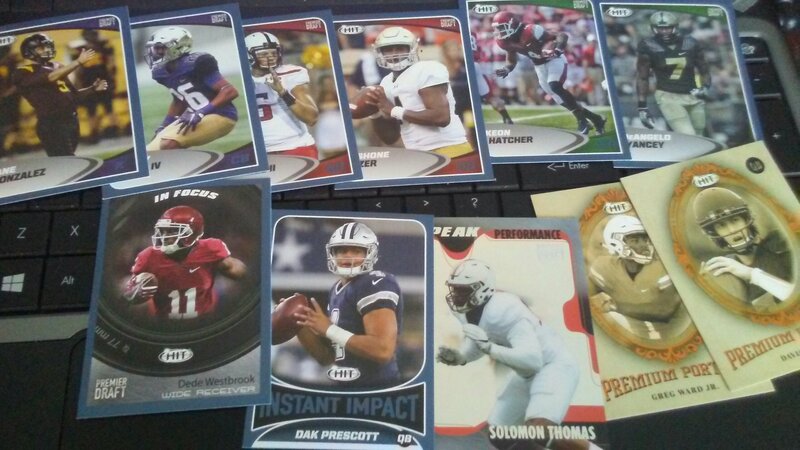 Other than that, the flagship packs offered some inserts that are selling for cheaper than base cards. I am pretty convinced that whoever made this product searched the packs to keep the hits for themselves. I highly doubt that I would pull 3 cards of the same player in the packs otherwise. The red, white, and blue parallel was decent at least. 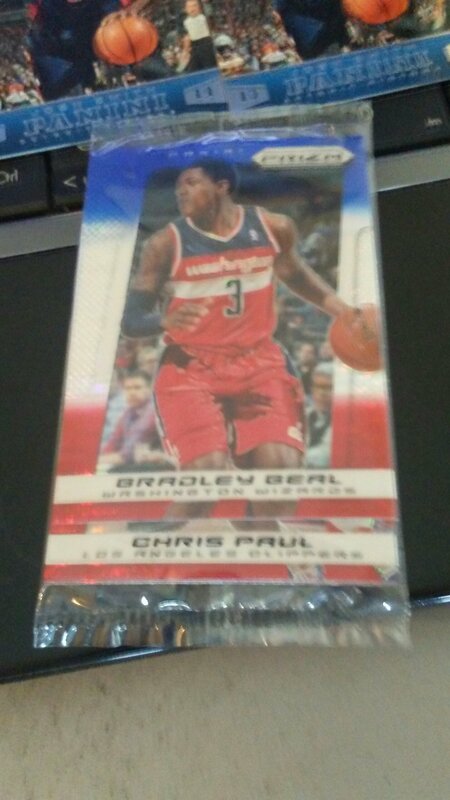 I didn’t open it but it has Bradley Beal, Chris Paul, and Jason Kidd cards in it. Monday was my birthday. I didn’t get any cards but I got a $15 Target gift card to buy some. (I would like to preemptively thank everyone wishing me a Happy Birthday; so thank you.) I wasn’t expecting to spend the gift card right away, or even open the product right away. I was in the Target parking lot going to another store and figured why not see what they had. Well to my surprise they had what I wanted and on clearance. So I was thinking this is too good to be true. A 2017 product on sale. This is perfect, so perfect I bet that I hit a Kizer autograph with a side of Kaaya. I didn’t hit any good autographs. Two guys on practice squads and a guy who went to Central Missouri who didn’t even get signed as a camp arm. Fortunately I don’t mind this rookie class so the hits weren’t the end all be all. 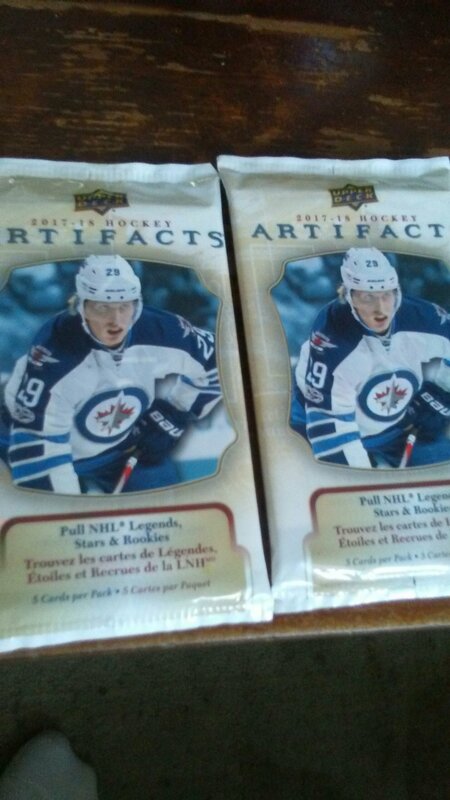 I also saw two thick packs of the current NHL Artifacts. I figured one would be a redemption. Instead they were decoys. I deserve that for noticing they were thicker than the rest. At the end of September I reviewed this product and said that I bought 2 boxes – found here. I finally got around to opening the 2nd box. 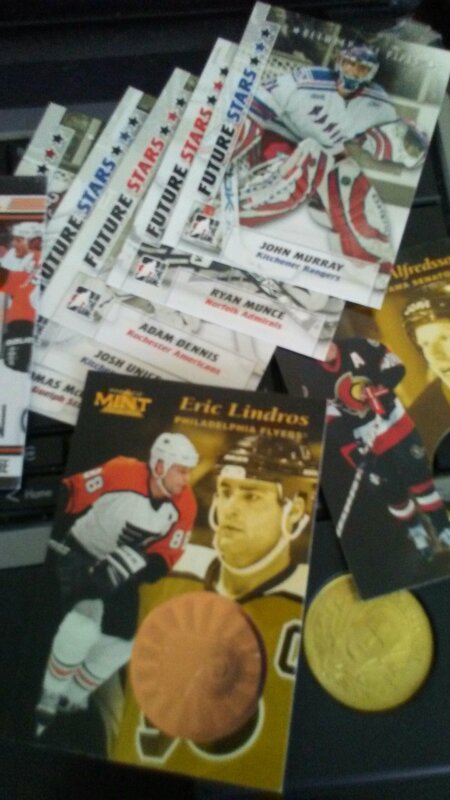 Messier card is numbered out of 500. 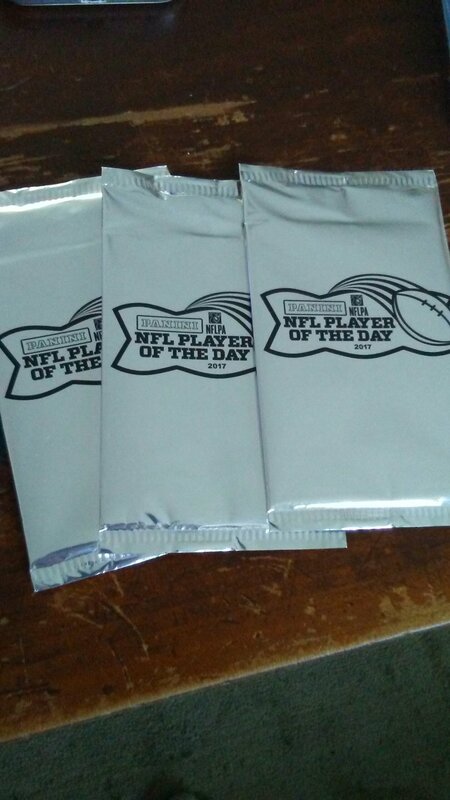 I wasn’t expecting to open any Player of the Day packs this year but I unexpectedly ended up with some. Last week I won a Monday Night Football contest where you had to guess the number of passing yards total. I was off by one. 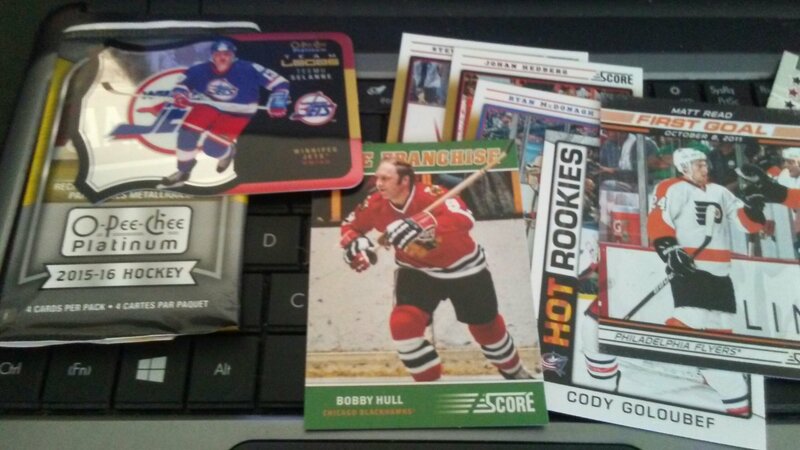 The reward was an autograph but to my surprise they also threw in three packs. 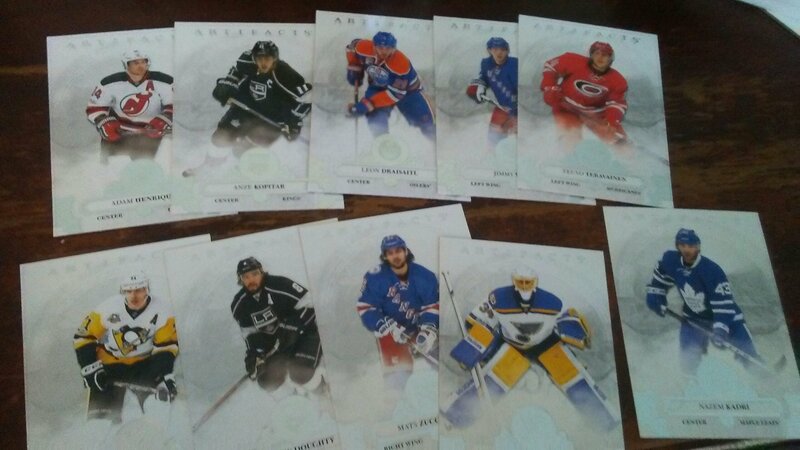 I will say that I was hoping to pull more rookies. 2 veterans in 2 of my packs didn’t make me all that enthralled. The rookie that I did pull is great though. As for the autograph that I got. I was able to choose from 1 of 3 players. 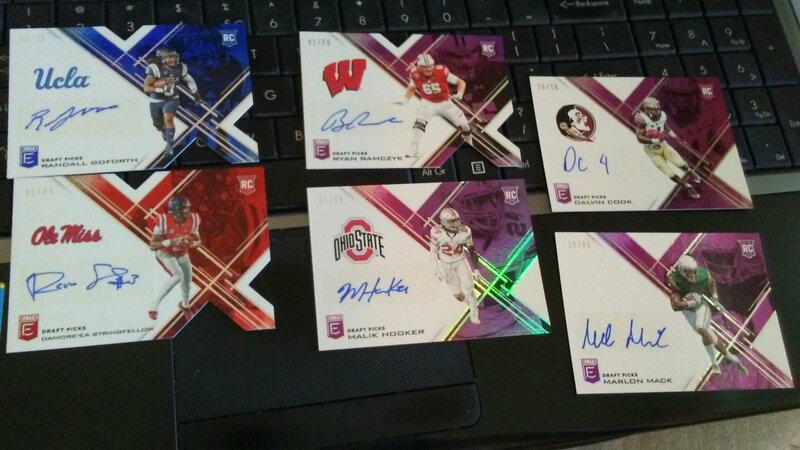 I chose the Haason Reddick autograph as he is one who is on my list of players that I wanted from this draft class and the others weren’t; I don’t even remember who they were but it was a Bills and Jets player. Reddick was legitimately in my top 5 autographs for this class after Watson, Engram, Trubisky, and McCaffrey.